webOS on the desktop: in a window, lacking integration and PDK? 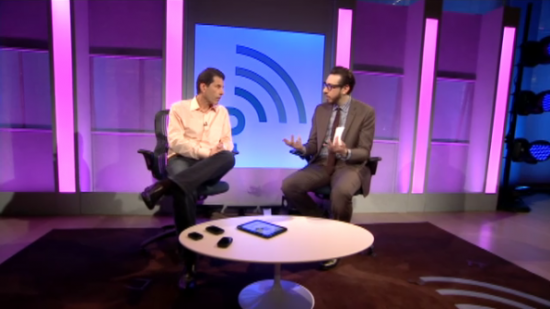 You may have seen that HP SVP Jon Rubinstein was on The Engadget Show, chatting up all things webOS. After talking about the Veer, Pre 3, and the TouchPad, and dropping that iTunes sync will somehow make its way back to webOS, Rubinstein and host Joshua Topolsky turned towards webOS on the PC. It’s something that we’ve been wondering about, and Rubinstein stepped forward to clarify plenty of stuff for us. Additionally, even though all of your Synergy services will come integrated in this webOS in a window... thing, Rubinstein’s evasiveness (he’s really good at not answering questions and sticking to the company line) leads us to believe that there won’t be much, if any, integration with Windows itself. That means that your dreams of Synergy integration with the Windows counterparts for the address book and calendar aren’t going to happen. Of course, the issue there could be that Windows 7 doesn’t come with a calendar app out of the box (we still can’t wrap our heads around that). Lastly, our suspicion of this being a web tech-based system is looking to be correct. Running Enyo webOS apps happens right now in HTML5 browsers, and webOS itself is based pretty heavily on web tech. What this does mean, at least right now, is that PDK apps (like most of the popular games) may not be available in webOS on the desktop. Granted, we’re drawing this from Rubinstein’s “We're going to have more data on that later,” which says to us that they’re working on it and would love to have it, but can’t guarantee that it will be ready at launch (you know, whenever that is). But don't expect it on Macs anytime soon, HP's focusing on Windows. This is all talking about the first implementation of webOS on the desktop. There are technical limitations to overcome before our dreams of better integration and advanced apps can come true. With HP’s resources at play here, it’s a possibility, we just wouldn’t expect it until later.